Day 15. 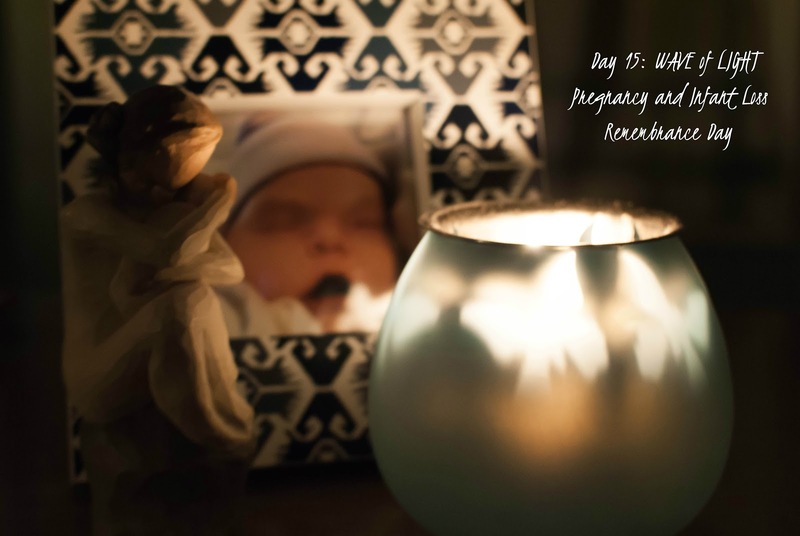 WAVE of LIGHT: Today is October 15th Pregnancy and Infant Loss Remembrance Day. Light a candle at 7pm to help create a continuous wave of light around the world for 24 hours. Photograph your light! It is such a sacred night of remembrance. All the precious babies of Heaven are on my heart today. Sending all their parents love and hugs. I can just feel how special this night is as we all miss and honor our little ones. This is my space for the evening...Lily's photo, a Willow Tree of a mother holding her baby, and a very special candle with butterflies that dance across the wall when lit. Beautiful! Thank you for including Jonathan!